ASL research programs employ both traditional and modern observational techniques. 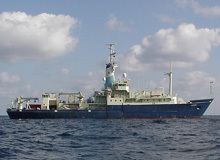 Research vessels. For many tasks there is no substitute for well-trained humans working aboard a well-equipped ship. Ships provide scientists and engineers essential access to the world's oceans. 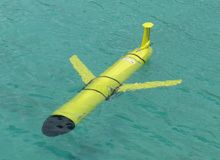 ASL maintains and operates a fleet of nearly 20 underwater gliders. Gliders have great endurance but are very slow. 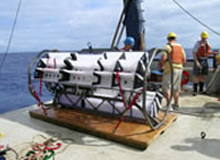 To achieve a useful sampling density we have deployed as many as 12 gliders simultaneously. 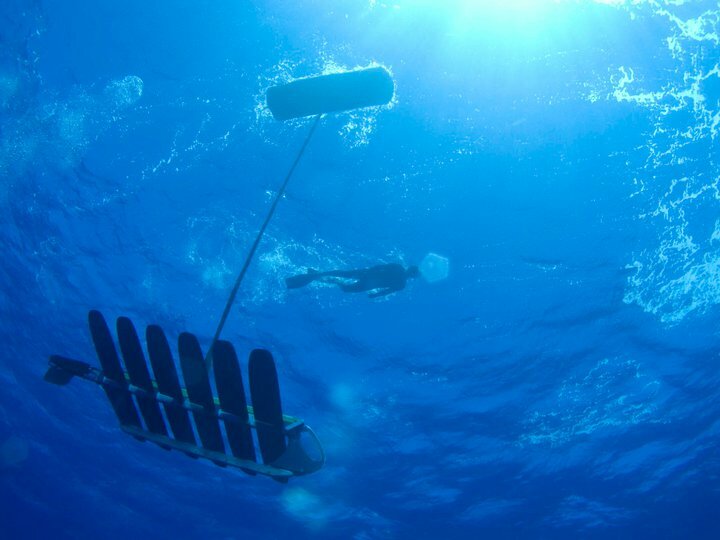 The Wave Glider is an environmentally-powered autonomous surface vehicle built by Liquid Robotics, Inc. We are using three of these platforms to study ocean surface salinity in the tropical Atlantic. 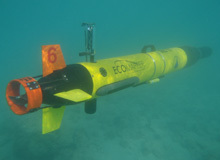 We currently operate two short-range, high-speed autonomous underwater vehicles built by OceanServer and YSI. They help us study ocean physics and biology on small time and space scales. 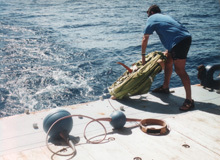 We use floats and drifters to explore circulation patterns over a wide range of temporal and spatial scales. Recent experiments have made use of acoustically-tracked subsurface floats and satellite-tracked surface drifters. The Submerged Autonomous Launch Platform (SALP) allows floats and drifters to be launched automatically according to a user-defined schedule, interactively by real-time acoustic remote control, or adaptively in response to environmental cues. The Autonomous Expendable Instrument System (AXIS) is a robotic autolauncher system for expendable oceanographic probes (XBT, XCTD, XSV). 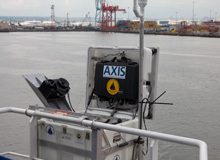 The first AXIS prototype is deployed on M/V Oleander which runs between New Jersey and Bermuda. 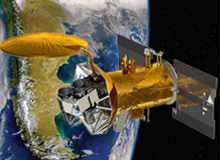 Measurements retrieved from earth-orbiting satellites are used to study the patterns of ocean circulation. Remote measurements of sea surface temperature, sea surface height, ocean color, wind, and sea surface salinity all contribute to our research.